John Baldoni serves as the chair of the leadership development practice at N2growth. He is an internationally-recognized leadership educator, executive coach, speaker, and author. He has authored twelve books on leadership, with three of those books, Lead With Purpose (2011), Lead Your Boss (2009), and Lead By Example (2008) selected as best leadership books in their respective years. 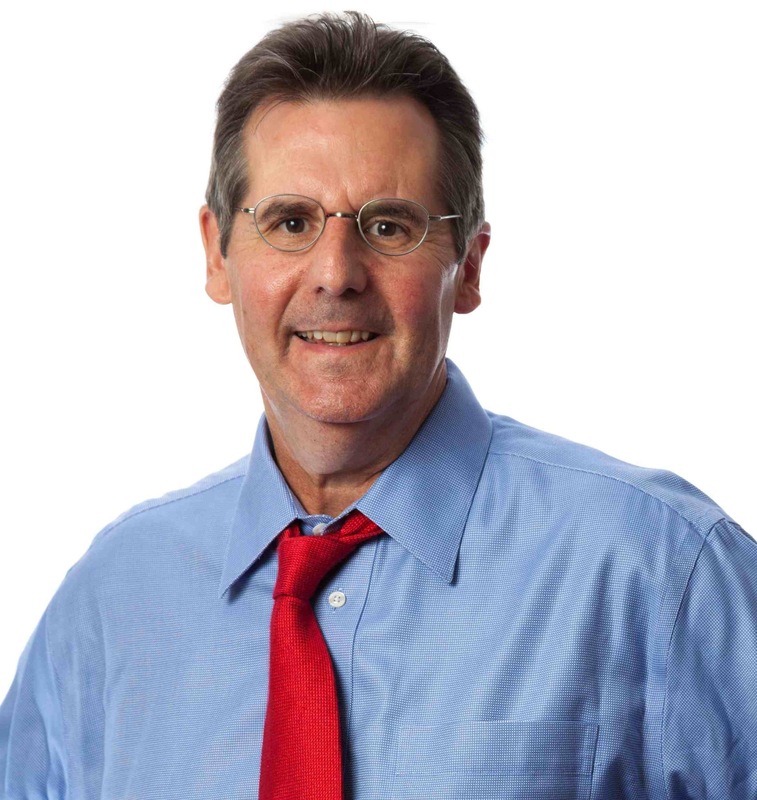 For nearly 20 years, John has coached and consulted for a number of leading companies in a variety of different businesses, ranging from automotive and banking to computers, high technology, fast food, and packaged goods. John is a much in demand keynote and workshop presenter and is popular with corporate, government, professional and military audiences. In 2012, he was ranked No. 10 on the list of the world’s top leadership gurus. In 2010 he was named one of the world’s best 25 leadership experts by Top Leadership Gurus. John is a frequent speaker on leadership topics, with keynotes focusing on personal leadership, leadership communications, and motivation. John is the author of 12 books on leadership including Leader’s Pocket Guide (2012), Lead With Purpose (2011), Lead Your Boss (2010), Lead by Example (2009), were all published by AMACOM as was his latest book, The Leader’s Guide to Speaking with Presence: How to Project Confidence, Conviction, and Authority (2013). John’s books have been translated into ten languages, including Mandarin, Korean, Hungarian, Vietnamese, Spanish and Russian. Morris: Before discussing The Leader’s Guide to Speaking with Presence, a few general questions. First, in Tom Davenport’s latest book, Judgment Calls, he and co-author Brooke Manville offer “an antidote for the Great Man theory of decision making and organizational performance”: organizational judgment. That is, “the collective capacity to make good calls and wise moves when the need for them exceeds the scope of any single leader’s direct control.” What do you think? Baldoni: The Great Man theory is overused and abused. I recall Pete Dawkins, who won the Heisman for Army in the late 50s, then went on to a distinguished career in the military becoming a general officer, He believed that our notion of leadership too often defaults to that of the 19th Century British cavalry officer but as you might expect it remains quite narrow. Not only does it exclude women, it focuses solely on white males. I prefer to focus on the yin and yang of leadership, that is, leadership is not about the leader, but it is all about the leader. What I mean is that leaders create conditions for people to succeed and followers must pick up the challenge in order to achieve goals rooted in purpose and focused on sustainable results. Baldoni: I loathe the phrase failure is not an option. How presumptuous. So many great breakthroughs in science and technology emerged from challenging assumptions and failing. The challenge is not to become overwhelmed by defeat and find away to bounce back. The comeback comes from challenging assumptions, particularly the data sets that led to false assumptions. Failure is an option, always. That is why we engineer redundant systems on aircraft. In case one fails, there is a back up. Same for leaders. Have a fall-back position so you can move forward. Baldoni: Actually I don’t think they do have difficulty delegating. I know few who don’t delegate. On the way up they have learned that if they are to succeed they must work through others… not in spite of them. Baldoni: I will default to Winston Churchill who once predicted, “History will be kind to me because I intend to write it.” Like all other great leaders, he knew the value of a powerful narrative as a means of communicating purpose and making those in the story heroic. That is the lesson we can take from his brilliant oratory of 1940 when Britain (and the Commonwealth) alone faced the Nazis. In other words, as historian Isaiah Berlin noted, Churchill made the British people the heroic figures in the drama of their own survival and eventual victory. Morris: Now please shift your attention to The Leader’s Guide to Speaking with Presence. When and why did you decide to write it? Baldoni: The Leader’s Guide represents a return to my roots. It has been over a decade since I did my first book on communications and in that time I have developed some new thinking but also developed techniques into speaking that I have taught to executives whom I have coached. This book complements another of my books, Power Presence, which focuses on leadership presence. Communication is fundamental to a leader’s presence and so this book provides practical know-how that executives can employ to reinforce their believability factor, that is, giving people a reason to believe in them. Morris: To demonstrate confidence, conviction, and authority, one must first [begin italics] possess [end italics] them. How best to develop them? Baldoni: You have to believe in your message and that you are the best person to deliver that message. When you possess that sense of confidence you project it through your words and the audience is inclined to listen… and ultimately believe in you. Morris: What are the most important do’s and don’ts to keep in mind when preparing a major presentation or preparing for what is certain to be an especially important conversation? Baldoni: I always tell speakers that when they speak, consider themselves to own the stage. Consider the audience as their guests. Regarding them as guests makes you want to do what you can to make them feel comfortable. As your guests, you are responsible for them so you must take ownership. That means you deliver your material with confidence and with authority. You are the expert. The audience wants to hear from you. Never be afraid to pause. Pause when you get on stage so people can focus their attention on you. Pause during delivery. It becomes a form of punctuation. It is a way you can emphasize a key point in your message. Pause is a powerful tool that good presenters employ often. Morris: When launching 60 Minutes on CBS in 1968, producer Don Hewitt advised his associates, “Tell Me a Story” and later used that as the title of his memoir. Throughout human history, why has storytelling been so effective — and so popular — as a means of communication? Baldoni: Story, as discussed with Churchill, is an opportunity to put your audience at the center of the narrative… that is, either as listeners or participants. We all remember good stories. Stories are a means of relating what we do now to the human condition as a means of creating a connection between our present and our past as well as our future. Stories are memorable. They inspire us and they serve as reminders that we have a purpose to achieve. Morris: You discuss framing a speech as a musical composition. Please explain. Baldoni: Consider a presentation like a melody with highs and lows. It is the variation between the two that produces music. Music for a speaker is the message. Thinking through the presentation throughout outline and scripting focuses the presenter on what he or she must to get the point across in a way that is memorable. Morris: For more than 25 years, it has been my great pleasure as well as privilege to work closely with the owner/CEOs of hundreds of small companies, those with $20-million or less in annual sales. In your opinion, of all the material you provide in The Leader’s Guide to Speaking with Presence, which do you think will be of greatest value to leaders in small companies? Please explain. Baldoni: All of us will need to give presentations. Rather than being terrified, we should be exhilarated. Why? The person who delivers a presentation is the expert. Consider yourself a master of your material. Deliver it with confidence. The Leader’s Guide to Speaking with Presence will provide you with the tips and techniques you can use to become a more poised, more confident, and more authentic speaker. To read my first interview of him, please click here. To read the second interview, please click here.